Copyright Notice: © 2013 KMM Productions Inc., A Nerd Corps Company. These are the official MIM-MIM COSTUME licensed characters, MIM-MIM COSTUME. 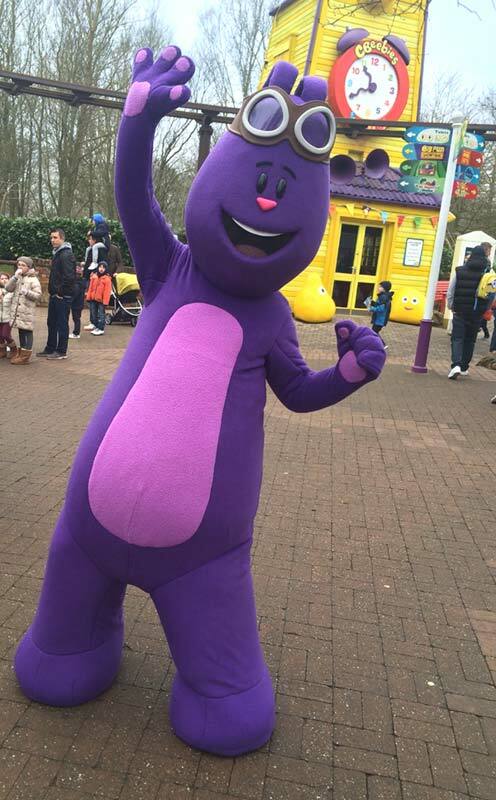 Rainbow Productions holds the UK’s official licence to manage the personal appearances of Mim-Mim at public events on behalf of the brand owner. Mim-Mim is 5 year old Kate’s toy bunny. When Kate comes across a problem in the real world, the best friends set off on an adventure to the enchanted world of Mimiloo where Mim-Mim transforms into Kate’s oversized playmate. He is fun-loving, kind-hearted, cautious and sometimes a little bit goofy. Along with some magical Mimiloo friends, the pair visit weird and wonderful places in their quest to find the answer to Kate’s real world problem. Kate & Mim-Mim is a new pre-school animation, inspired by a real girl with a big imagination. The series launched on CBeebies in Summer 2014 and features magical settings and striking colours. 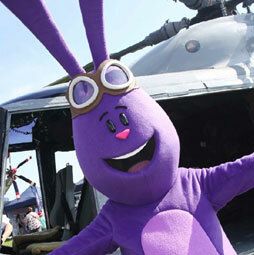 Mascot Costume Mim-Mim is available to attend UK events.